The GSX-315 is supplied on tape and reel. 3k pcs per reel is the standard T&R pack size for this product. Partial quantities may be supplied on tape (no reel), or in bulk. 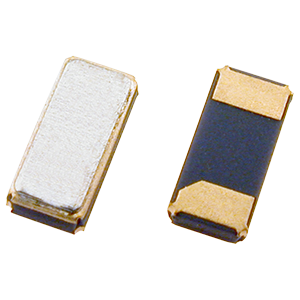 Our most popular 32.768kHz solution, the GSX-315 watch crystal offers highly competitive pricing and low power consumption in a miniature vacuum sealed ceramic package. The GSX-315 can be configured to your choice of calibration tolerance and circuit condition. 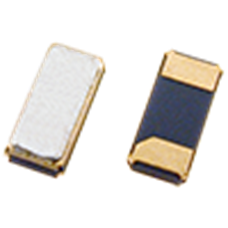 This 32.768kHz crystal has low power consumption as standard and features miniature 3.2 x 1.5mm footprint package. For an AEC-Q200 qualified version for automotive applications please see the GRX-315 which comes with full AEC-Q200 qualification as standard, with PPAP documentation available on request. To request a quotation for the GSX-315 please use the configurable options form to choose the options you require and then submit your configured product to our team. Our expert advisers are always happy to help with your requirements and can be contacted on +44 1460 256 100 or at sales@golledge.com. Our GSX-315 is included in the following design libraries. Click to download the library of your choice. Part of our automotive GRX range, the GRX-315 is our dedicated automotive 32.768kHz solution and comes fully AEC-Q200 qualified as standard. The GRX-315 offers particulalry competitive pricing for volume applications and low power consumption for minimal impact on design power budgets. 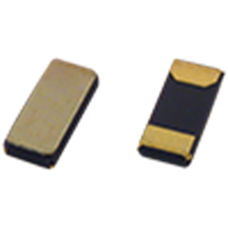 MP06003, MP07668, and MP05346 have been awarded a design win by Nordic Semiconductor. Find more information on this announcement here.